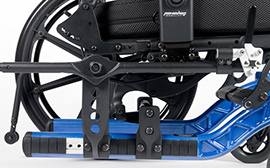 Up to 36 degrees of back angle adjustment for general positioning and comfort. 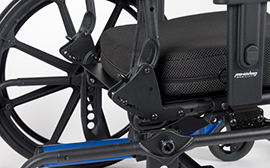 To successfully accommodate a variety of occupant’s positioning requirements. 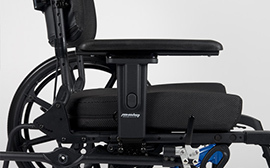 13” to 20” of front seat height to optimize occupant mobility requirements. 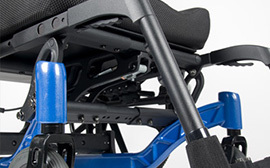 Plug-in and swing away front riggings available to accommodate occupant transfer needs.